The following reports were produced as a result of the “Expanding Library Support for Faculty Research” project. 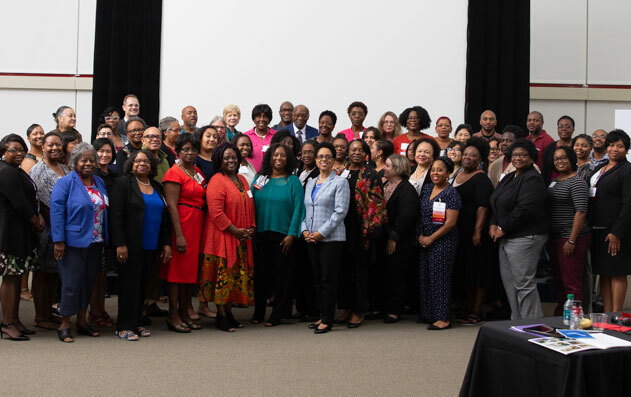 In partnership with the HBCU Faculty Development and funded by the Andrew W. Mellon Foundation, the project’s goal was to foster improved library services on individual HBCU campuses and develop collaborative approaches to expand HBCU community-wide library support for faculty research. 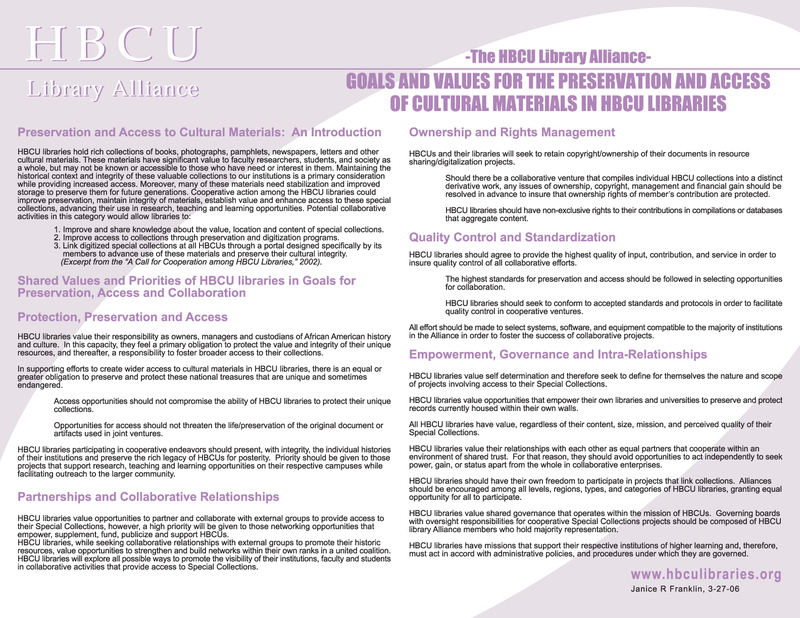 The survey results were presented at the 2014 HBCU Faculty Development Network conference in Raleigh (NC), at the 2014 HBCU Library Alliance Membership meeting in Atlanta (GA), at the 2015 American Library Association conference in San Francisco (CA), and at the 2015 National Conference of African American Librarians conference in St. Louis (MO). Click here to access the Survey Says: Expanded Library Support for Faculty Research presentation. Sub-grants were awarded to 8 member libraries to help support development or expansion of programs to improve library services. Abstracts and recordings for two sub-grant webinars are listed below. Academic libraries, as scholarly hubs, are well positioned to assist junior faculty members in navigating the world of academic writing and publishing. Paramount to maintaining a successfully publishing faculty is the need to provide a nurturing research environment while assisting them in addressing their unique publishing needs. In 2014 the AUC Woodruff Library offered a new and emerging type of research support by hosting a two-day academic writing institute, funded by the HBCU Library Alliance's Expanding Library Support for Faculty Research in HBCUs grant, to address the research and writing needs of junior faculty affiliated with the four campuses the Library serves. In this webinar, Dr. Rosaline Odom, Head, Discovery & Access Services Department, and Ms. Emy Nelson Decker, Unit Head, E-Learning Technologies, will present their project, entitled, "Publish or Perish? An Academic Writing Institute for Atlanta University Center Junior Faculty," and describe the ways in which librarians developed the writing institute in direct response to the need for research and writing support as demonstrated by junior faculty. The webinar will also provide an overview of the writing institute as it was conducted, briefly analyze the assessment results, and provide information for how this project will continue to evolve within this environment. Given the response to the survey, it is reasonable to suggest that retention, progression and graduation rates of college students are adversely affected by the high cost of textbooks. Various means of addressing this problem is being looked into locally and at the national level. The Affordable College Textbook Act was introduced in the US Senate in 2013 and directs “the Secretary of Education to make competitive grants to institutions of higher education (IHEs) to support pilot programs that expand the use of open textbooks in order to achieve savings for students”. At the campus level, many universities are invested in supporting the use and development of high-quality open textbooks for their students by encouraging their faculty’s research to develop and evaluate OERs. In this webinar, Mary Jo Fayoyin, Dean of Library Services, will report on the planning, development and evaluation of the Open Educational Resources mini-grant awarded to Savannah State University. Twenty-six webinars were presented to members on topics related to library support of faculty research. 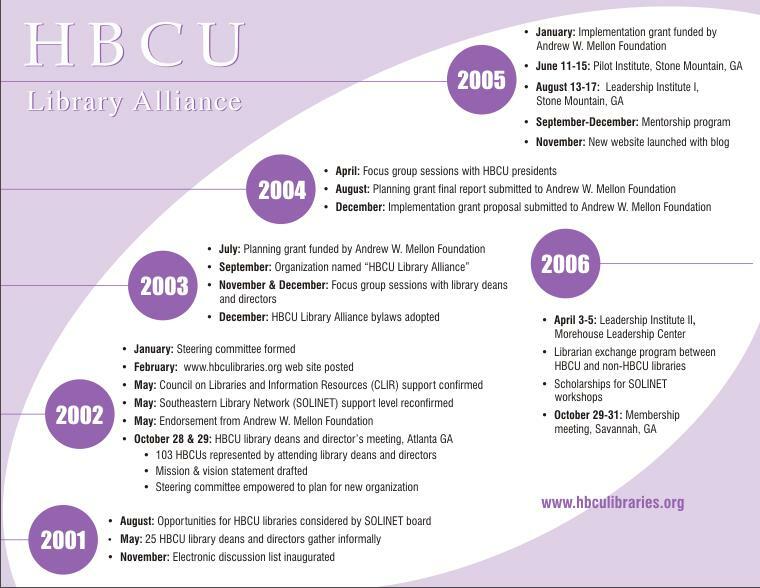 Classes were presented by experts within the HBCU Library Alliance community as well as non-HBCU Library Alliance partners. Several class recordings are listed below.